Over 1800 attendees of all ages expected. plus internships, training programs, and summer camps. of the Santa Fe Community Foundation's Opportunity Santa Fe Birth to Career initiative are working collaboratively to promote the first Tech Corridor and Industry Panels. Sending out special thanks to the Santa Fe Chamber of Commerce and to our collaborating partners for their support and co-hosting of these special events including Opportunity Santa Fe, the VISTA Volunteers, and Stagecoach Foundation ...plus all of the speakers and volunteers participating, including our Tech Task Force members and videographers, Betsy and Marty Anderson. Amir Isfahan is the President & CEO of Flow Science in Santa Fe, NM. Flow Science develops the computational fluid dynamics (CFD) software FLOW-3D with a user community that spans the entire globe. The company serves a wide spectrum of industries including automotive, aerospace, maritime, civil and environmental, biotech, additive manufacturing, consumer products, and electronics. Flow Science has been a tech leader and an employer in NM for the past 37 years. Amir started at Flow Science as a scientist in the R&D team in early 2009 where he made significant contributions to the FLOW-3D solver. He then transitioned to business development, where he successfully deployed the software into the cloud for a more accessible high performance computing (HPC) solution. In 2015, he took over the North American sales which put the company on a new growth trajectory. Last year, he led an acquisition of Flow Science and now serves as the company’s President & CEO. Amir holds a PhD degree in Theoretical and Applied Mechanics and a Master’s degree in Aerospace Engineering, both from University of Illinois at Urbana-Champaign. Throughout his academic years, his research focused on computational physics, particularly CFD. Conor Peterson is a technologist, artist and educator based in Santa Fe. After completing an MFA in electronic art at the University of New Mexico in 2013, he went on to teach young artists about the creative uses of computer programming and embedded electronics at UNM and Highlands, as well as Smith College and Hampshire College in Massachusetts. He is presently General Manager of Technology at Meow Wolf, where he focuses on coordinating technology for the Denver expansion. Jay Galvan Heneghan is founding partner and CEO of EMR-Bear, LLC, a Software as a Service provider that serves the behavioral healthcare industry with practice management, electronic health record, and billing tools. A native New Mexican, Jay has devoted much of her career to marketing and management consulting, which is being put to good use as she guides client agencies on their use of EMR-Bear's software. She is married with three teenagers and lives in Santa Fe, NM. karen McKinnon relocated to New Mexico in 2017 from her native Colorado to join Descartes Labs as an Applied Scientist. She received her Ph.D. in Earth and Planetary Sciences from Harvard University in 2015. Her doctorate research focused on developing novel statistical and physical models for climate variability with applications raining from extreme events to long-term climate change. After finishing up her degree, she moved back to Colorado by way of New York City to spend two years as an Advanced Study Program post-doctoral fellow at the National Center for Atmospheric Research. When not wrangling data and wrong code, Karen can be found going on outdoor adventures throughout the West. Real and refreshingly honest, Matthew Brown brings his years of experience with Bay Area business startups and consulting for Fortune 500 companies. Now, Director of the City of Santa Fe’s Economic Development Department, he is "helping to catalyze a more vibrant economy for the businesses, community and citizens of historic Santa Fe, New Mexico." Known as the "Playczar," he brings exceptional management skills and business savvy together with good, old-fashioned common sense, as well as a great sense of humor, to offer unique and effective insights into creating a culture of success through innovation and leadership. He attended Villanova University, Charles Widger School of Law, and Georgetown University, and he earned a BA in Government, Theology, and History. Mischa DeWalt is an Associate Casting Director at Sande Alessi Casting,NM and actor at Presley Talent. Recent projects include 12 Strong, WACO, Ice Box and Willenberger. She currently resides in NM with her beloved dog Umiak and is damn proud to be part of NM Film. Nick Maniatis was appointed Director, of the New Mexico Film office in July 2011. Since then, he has overseen the expansion and growth of a program that has increased the number of television series from two to seven a year, with a direct spend from all productions totaling close to two billion dollars. He began his career in the film and television industry in Los Angeles, working in different capacities on such shows as Candid Camera, A Different World, and Grace Under Fire. He is a former member of the Directors Guild of America and the New Mexico Governor’s Council on Film and Media Industries. He previously served as the Executive Director of the New Mexico Independent Power Producers and lobbied the New Mexico Legislature for an array of clients. Recently, Nick was recently re-elected for a second term as the First Vice-Chairman on the Board of Directors for the Association of Film Commissioners International. Ryan Begay was born in Gallup, New Mexico and grew up in Flagstaff, Arizona. Originally from the Diné Nation, his clans are Many Goats, born for Water Flowing Together, his Maternal Grandfathers are Salt and his Paternal Grandfathers are Big Water. He served five years in the US Air Force as a Space Systems Operator. After his service he continued as Satellite Systems Engineer. In his free time, he began pursuing his fascination for film. He enrolled into a production class at the Colorado Film School in Denver, Colorado. It was there that he found his passion and love for Filmmaking. He moved to northern New Mexico and completed his BFA in New Media from the Institute of American Indian Arts in Santa Fe, New Mexico. "The Indian Within" was his first short film, which screened from the US Southwest to the Northwest corner of Ontario, Canada. The film became a teaching tool at Cal State Dominguez Hills addressing the themes of empire and language found in film. Along with writing and Directing, he added DP to the list in his next short, "Ignite", which premiered at ImagineNATIVE in Toronto, then went on to air on RTVE in Madrid, Spain and recently screened in New York at the Tribeca Film Center. He has persevered through many obstacles with his most recently completed northern New Mexico short, "Carpio". After Ryan's move to New Mexico, a newfound passion for acting emerged. He has appeared in many short films but not until "Blaze You Out" (2011) did he realized his love for movies encompasses more than working behind the camera. He has since gone on to perform in many New Mexico film productions both Independent and Big Budget Feature Films as well as notable New Mexico TV series. 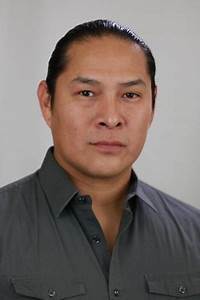 He continues to Write, Direct and Act as well as develop ideas for a stronger Diné/Native American presence in Film and Television both in front of and behind the camera. locally as well as on location. Being based out of Los Angeles but making my home in Santa Fe has been an enormous blessing. Jennifer Nevarez is the Director of the nonprofit Community Leaning Network (CLN) , and founder of New Mexico TechWorks which was created to "expand Tech access and education and increase Tech enterprise and employment" in Northern New Mexico. CLN has facilitated experiential learning programs with local youth and educational tourism with high school and college groups from around the US including Villanova, Stonehill, Fordham University, and Manhattan College, and currently facilitates the "Love Where We Live" Youth Ambassadors and Next Generation Media Team training programs, as well as digital media and marketing training programs including "1,000 Websites in 1,000 Days" and the "Social Media Mavericks" Internship program. Born and raised in New Orleans, Louisiana, Jennifer attended both Georgetown University in Washington, D.C., and the University of Southern California in Los Angeles, before getting her Master's Degree in Education and eventually moving to New Mexico. With an extensive background in education, special events, nonprofit administration and development, Jennifer facilitated many creative programs and fundraising projects over the years including the national Crazy Hair Day Campaign and numerous special events with celebrities including Carol Shelby and Jane Seymour. In the Tech and business world, she also wrote software system requirements and worked for Scientific Applications International (SAIC).